On Wednesday; last week, I had my first ever phone interview for a job in Poland as an ESL Intern with and I was terribly nervous about it. I have never had an interview over the phone before. I know that this will be how the schools or companies I apply for will conduct their interviews. However; we had some technical difficulties – using public WiFi is not a good idea (that is a thing to remember) but we ended up using my mobile number. It worked fine but it was a little noisy and I sat in my car. I am so glad that I was unable to be seen. I was interviewed by Andy. The interview lasted for half an hour and I was surprised by the amount of questions he asked. I had the feeling that I did not do every well when it had finished. There were questions that I did not even think that he would ask about…for example – grammar! I was asked to give examples of Tenses – Past, Present and Future. I was asked to give an example – I could not believe it my mind went blank! It was horrid. This is where I think it all went down hill for me. However; Andy did ask my for the definitions of two words. The words were ‘Century’ and ‘Freedom’. Personally; I think that my answers were pretty lame, but Andy seemed to like them. At the end of the half an hour, Andy said that he would pass my details etc. onto Natalie and she would call me again after the weekend to ask some more questions on Grammar. He would email me a “Pre-Arrival Study Pack” to read beforehand; which when it arrived I read front to back three times and highlighted the key points of Grammar. 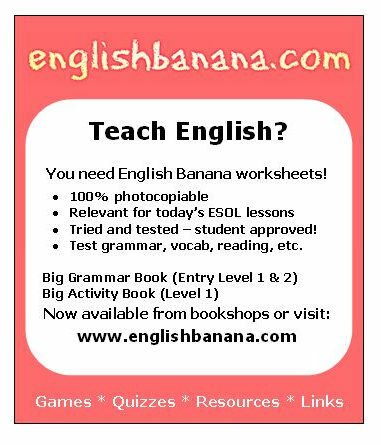 It has been many months since I did my Grammar Awareness Course (and I feel that it is time that I refresh myself by doing the course again!) and I am very worried about the questions the Natalie would ask. Within the email; which to be honest I thought Andy was going to send by it was actually from Natalie, stated that I have a good personality for being a TEFL teacher and I would fit in with the rest of the team (paraphrasing a little). My jaw almost hit the floor when I read that part; I could not believe it. I must have been okay with the interview. I was a little relived. However; today was the second half of the interview. Again I feel that it did not go to plan. I was very nervous. I knew that she would ask me to give examples of all the tenses and what the parts of speech were. I focussed on these sections when I was waiting for Natalie to call me. However; Natalie did say that she would contact my References by phone (I have had to change my Reference recently as one of them is no longer able to be contacted by the information I have for them) or by email (as one of my current References is Deaf) to discuss me and my ability to teach. At this time I became more nervous; as the Grammar questions she had asked I did not fully answer correctly. However; as an Intern you are being taught how to teach in theory so I would have to brush up pretty quickly! [Note to Self: write a post about Grammar]. She did ask me one thing…would I be able to start working with Speed School before the Summer 2015. “All I need to do is to give my current employers one months notice” was all I said; but I know that I would have to discuss the matter with my family. So, what do you all think? Has she just said ‘maybe’ to me?